Replace Yourself by Outsourcing to the Philippines! 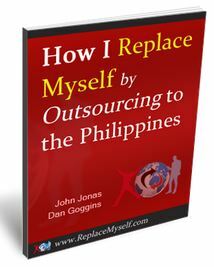 Replace Yourself – Outsource to the Philippines! Managing dozens of email requests, order processing, product sourcing – all these things can be tedious tasks and the last thing you want is to turn your business venture into yet another boring day job. You can only build something really BIG if you learn how to leverage your most valuable resources: time & money. While there are occasional super stars who become millionaires all on their own, it’s rather an exception than the rule. You can only do so much in one day and without leveraging your resources and outsourcing easy tasks, you’ll most likely find your business stuck with no growth very soon. Luckily I realised this axiom quite soon which helped tremendously with the growth of my business. What is the simplest way of increasing your productivity and the amount of work you can get done in a day? It’s outsourcing of course! Outsourcing allows you to selectively pass some tasks of your business to another person and pay only when results are delivered. Outsourcing has been around for ages but with the increasing levels of internet access in 3rd world countries over the last decade, it has never been so easy to hire someone to work for you ONLINE, without ever actually meeting face to face. What I like most about outsourcing (compared to the traditional way of hiring full-time employees) is that you have 100% control over who you hire, how much you pay and most importantly – you can let that person go any time you want. Unlike with traditional employment, you have no long term contracts or obligations to keep someone on the pay roll even when you know the work isn’t being done. So today I want to talk about outsourcing and specifically, outsourcing to the Philippines. The Philippines is an island country located in South-east Asia, situated in the western Pacific Ocean. With a population of almost 100 million people, the Philippines is a popular travel destination, well known for its friendly people and cheap living costs. English is one of two official languages in the Philippines (the other one is Filipino); this means most people speak and write fluently in English, especially new university graduates as they study in English. Low cost work force. You can hire a FULL TIME sales rep in the Philippines for around $300 a month. Salary will of course vary based on qualifications, level of English and experience but in general, for $300-$400 a month you can get a full-time employee for most basic online research, writing and customer support tasks. High work ethic. Filipinos are generally hard working people and treat their jobs very seriously. If you can provide them security and on-going work, they will do their best to serve you to the highest possible standard. These are the main three reasons why the Philippines is the perfect place to look for a full-time or even part-time employee. There is of course also India, Pakistan and many other countries you could look to outsource your business tasks to but in most cases, the level of English will be lower in these countries compared to the Philippines. Depending on the tasks you’re hiring a person for; you’ll have to carefully set your requirements. While someone who purely does research tasks for you can have average English skills, a customer service rep who takes phone calls should be fluent. Usually, the higher level of English a Filipino has, the more you have to be prepared to pay. Odesk.com – this is the perfect site to hire someone on a project basis. It works in pretty much the same way as Elance so if you have some previous outsourcing experience, it shouldn’t be difficult for you at all to get to grips with Odesk. Simply post a project, get bids and select the best offer. OnlineJobs.ph – if you’re looking to hire a full-time or part-time employee from the Philippines, OnlineJobs.ph is the website you want to use! On this site you’ll find CVs for thousands of people based solely in the Philippines. You can also post your own job offers there. While ODesk.com is free to use, OnlineJobs.ph asks for a membership fee if you want to post your own job offers or contact job seekers. There are various membership plans available but if you need just one employee, the one month subscription should be enough. It costs $49 per month and you can cancel at any time. So once you find an employee, you simply cancel your membership. Treat this $49 as a one-time fee to find that perfect employee for your business. If at all possible, I would recommend hiring a FULL-TIME employee vs a part-time or project based employee. It’s just so much easier to work with just one person when you have their full attention 8 hours a day than to do it on a project basis. Also, if you hire someone full-time, the chances of that employee leaving you are much smaller. But of course you don’t always need someone to work full-time so if that’s the case, just hire people on a project or part-time basis. It’s actually a good idea to test an employee first with one small project and only hire them full-time once you’ve checked their work and are happy with the quality. If you’re just starting out with outsourcing, definitely start with some small projects first, rather than hiring someone full-time right off the bat. With small projects you can only lose the money for that one small project (if everything fails) and you’ll gain invaluable experience in finding good contractors to work with. Quality of work. Yes, even if you think you have found the perfect person for the job, often you’ll face the sad reality that the work produced by the person you hired will be sub-standard. That’s why it’s super important to give a small test job to everyone you’re planning to hire. On Odesk there’s also a feedback & ratings system in place, so make sure you check that out. Also, the old saying “you get what you pay for” applies here too – so don’t expect the highest quality work from the cheapest offers. I always try to go with medium or even high end prices as it has been proven to filter out the worst applications/offers. Communication problems. When hiring someone from the Philippines, you want to make sure you have agreed on communication channels & time PRIOR to them starting. Ideally, you want the person to be online (on Skype/other IM) during the time you’re online and have work to be done. Even though the Philippines is 8 hours ahead of the UK, most Filipinos will be happy to work during evenings and even nights, if that’s what’s required by you. So don’t be afraid to ask this beforehand. Pay ONLY after work is done. NO EXCEPTIONS! I have always stuck to this rule on eLance, ODesk and with full-time employees. This prevents people from running away with your money plus it motivates them to work harder (it’s difficult to keep motivated when you’ve already been paid for the work). Keep communication open. It should be a rule of thumb that your employee contacts you at least once a day and keeps you updated on progress. So make it clear that you would like a daily update email. Train your employees. While many Filipinos are hard working with a good education, they may not automatically know the ins and outs of your business. The good thing is that they’re always ready to learn! So teach them a little before you hand over a new task. What I often do is create a simple screencast video (you can use this free software) and simply record the task that needs to be done. Do it once and then hand it over to your employee. It’s so much easier to learn from a video than a written description and it will take less time for you too. This works perfectly for SEO, link building, data entry and similar manual tasks. Don’t be THAT Boss! Even if you’re in a position to hire someone full-time, keep your conversations civil, say thanks when good progress is made, be polite and constructive. The fact that you pay the person to do work for you, doesn’t mean you OWN that person. Be nice – it always pays back. You still want to keep control though and if work isn’t being done or quality drops, you want to point it out straight away. Just no need to shout. Fire faster than you hire. It will happen – sometimes you just can’t work with a person (for various reasons). In cases like these, it’s better if you just let them go and look for another employee. Baby-sitting is not what you want to do and from my experience working with dozens of contractors, it’s always better for both parties to quit early than to try and fix problems that cannot be fixed. Just move on. These are just a few pointers you want to keep in mind when hiring someone from the Philippines. But by no means am I all-knowing on this subject – there are people who are in this business 100% and are far more knowledgeable than me. I’ve learnt from them and I recommend you do the same – learn from the best in this industry! Start with JonasBlog.com and download that free guide – it will teach you A LOT about outsourcing to the Philippines and of course check out John’s blog too! If you have any questions on the topic, please post them below in the comments section. I would also love to hear about your outsourcing experience – good or bad! The Complete Guide to Fulfilment Houses! Easy Auction Business - Version 3.0 is HERE! 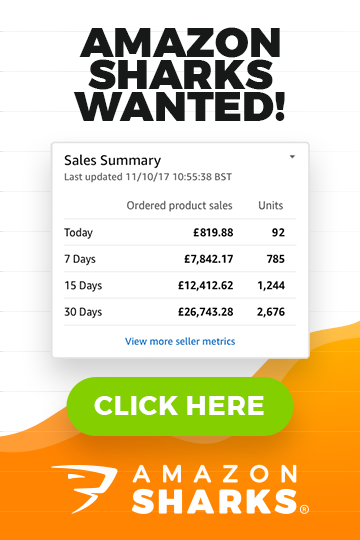 How to Write PERFECT eBay Listing Titles! Ideally I would write articles myself to generate traffic, but I don’t have the time. So this certainly looks interesting. No, my view on this hasn’t changed.. In ideal case of scenario you want to do all writing tasks on your own. No one knows your niche and products as good as you’re. But in some cases it’s just not possible – some of us are not great writers or sometime you just need so many descriptions that it would take months for you to write them. In cases like these, by hiring a HIGH quality writer, problem is solved. It really depends on what kind of text is needed – if they’re simple products, something Amazon/Internet is full of, a good writer will be able to write good descriptions just by reading information already available online. But if you sell something very specific, technical etc., you will find it very hard to find someone who can write at decent quality for you. Great article, me stumbling upon this recently is perfect timing! I’ve recently outsourced all of my fulfilment and am looking at getting a VA or similar to manage all of my eBay messages etc. However, I do have a concern that I would need to give them access to my eBay account and seeing as you can’t setup separate admin accounts they would have full access. How have you handled this or mitigated this risk previously? Yes, unlike with PayPal where you can have multiple logins, with different account privileges, on eBay we can only have one – master account. I personally have never shared it with a VA, only my well trained full time/office employees have access to this. I’d say it’s a too risky to give full eBay account access to someone you haven’t even met before…. There are ways around this though – for example, if you use Linnworks, you can have multiple accounts set-up, with different access level for each and basically listing, scheduling, order processing can be done there. Thanks for your speedy response, would Linnworks allow me to grant access to eBay messages to a VA? This is the one part of my outsourcing plan that I’m having trouble with at the moment…. Apart from granting access to the full account or continuing to manage them myself I can’t think of another way! But you can give them access to your eBay email as messages can be replied directly from email account, if they come from email address registered with eBay. I have always recommended freelancers from the Philippines the most to my clients, their English is perfect and with an accent that is easy on the ear. As silly as that may sound if hiring someone who will converse with your customers that makes a difference. Interesting that eLance and oDesk have merged, will have to see how that changes the freelance hiring market over the next year or so also. I personally have found more programmers in India and Pakistan who also often have great English, so cannot rule them out, I did purposely pick freelancers on the more expensive end of the spectrum however. I think the most important consideration when outsourcing in the aim of expanding your businesses turnover and overcome the scales of economy currently holding you back from rapid progress and profits is to PLAN! Every detail about how the relationship will work, mind maps/spider diagrams/flow charts are also all great ways to illustrate this both to yourself as an ongoing reference you can update and to your new workers. Also when you begin this transformation your role becomes more of a line of communication and quality control chief, ensuring your plan is well developed before assigning tasks to avoid multiple drafts and spending too much time. I have hired people and by the end of it thought “with all the hand holding I have done and training I could have done this task twice over myself”, and that becomes very counter productive and disheartening. I agree with every word you have written. And yes, visual schemes/guides/mind maps help a lot to build a constructive and productive relationship with employees. That’s why I often use videos to teach new tasks, it’s just so much more effective than a written word. it’s a great article. Very interesting. In the Philippines, the only way to a decent career is having a degree. Even working as a cashier in a fast food restaurant one requires a degree. There is therefore a huge surplus of graduates (who are taught in English) and for those who don’t have the means to work abroad this is a great way of getting employed. It may be a given but it’s definitely worth finding out about someone’s circumstances before taking them on. There are no pensions or government support so 95% of the young work to look after their parents and siblings. e.g. If their laptop dies, do they have the means to replace it? Is their lifestyle generally quite stable. The country has also become the call centre capital of the world due to their american accents which in the US is much more easily understood than the indian accent. There will be plenty of people with experience so might be a good to start with outsourcing customer calls! oh, and they are definitely hard working! Looking forward to getting to this stage in my own start-up. Many Thanks for your comment and additional insights! Yes, forgot to mention this in my post – it’s super important to check that they have a broadband internet access at home. Even with regular outages they get, this is the only way to do proper work. Some areas suffer from ‘brown-outs’ every day, despite the fact that electricity prices are the highest in South-East Asia. Manila is the safest bet. Thanks for the excellent article Andrew it was exactly what I was after. Thanks for your arcticle Andrew, really useful. 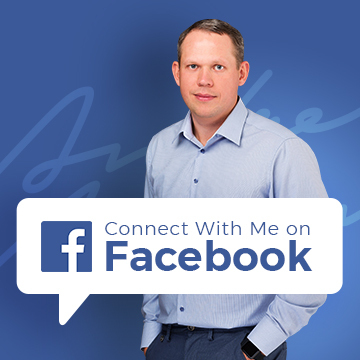 One thing I was thinking of doing was outsourcing most of the SEO side, particularly blog writing, keeping facebook and twitter current and updated etc. How effective is it to outsource these areas? Obviously the person doing it would have to research the subject and most likely would have no prior knowledge of your niche, is this something you’ve had success with? Tasks like these ate perfectly suited for this concept. When hiring just make sure person is fluent in English (writing at least) and ideally, look for someone who has some sort of knowledge/relation/experience with your niche. Everything else you can teach!